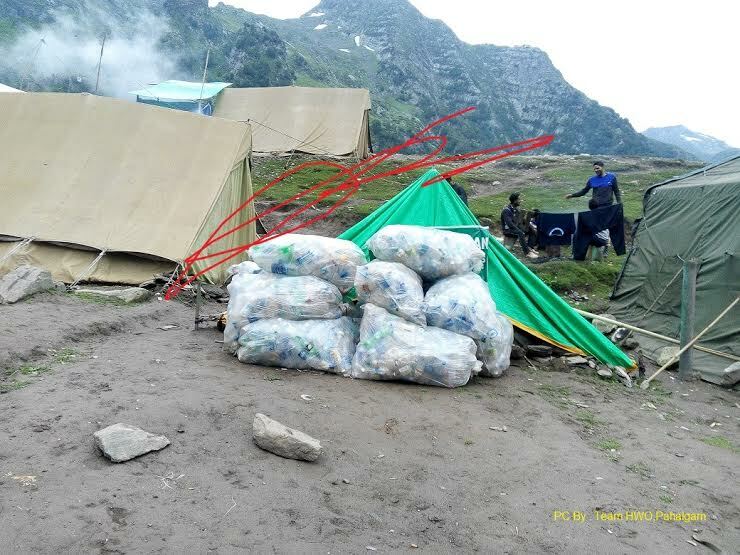 As Hindu Amarnath Yatra is still going, the huge garbage dumped by Yatris lies scattered in the environmentally fragile Chandanwari en route holy cave. However, the citizens and social activists of Pahalgam took the job to themselves as Amarnath Shrine Board remained unmoved. 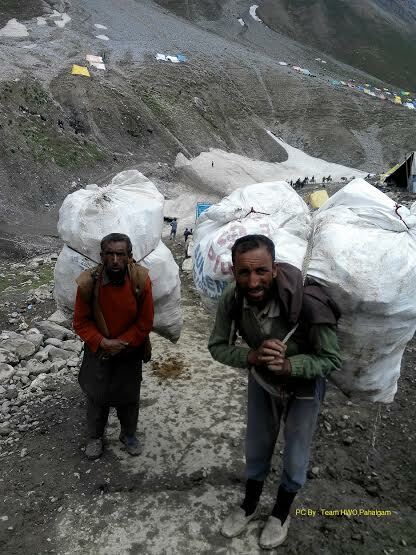 “We had been appealing the Pahalgam Development Authority and the Amarnath Shrine Board SASB for a while to start collecting polythene and other plastic garbage dumped by Yatris on the trek route from Chandanwari to the holy cave and other camps but to no arrangements were made,” said Mushtaq Pahalgami, an environmental activist. 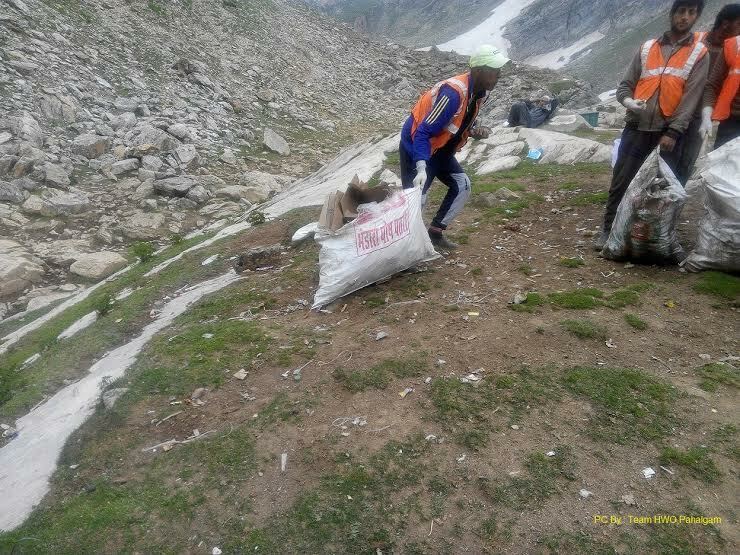 He said that a local NGO Himalayan Welfare Organization Pahalgam wrote to the Chief Executive Officer Pahalgam Development Authority Pahalgam, to allow the volunteers of the organization to collect the garbage on “its own expense”. “The SASB and PDA, however, followed us in the effort and appointed an officer, Er Shabir Ahmad Ahanger to monitor the process,” Mushtaq said. “This is a good effort and we hope and wish the same is carried out efficiently and that efforts are also made to properly dispose all other untreated garbage and sewage etc,” he added.